J. N. Peter was gunsmith and arms manufacturer in Geneva of 1851 to 1879, he was the successor of Peter F.B.J. who also was to him a gunsmith and arms manufacturer in Geneva about 1840. One can see some weapons of his manufacture to the museum of Morges, Näfels, and Willisau. 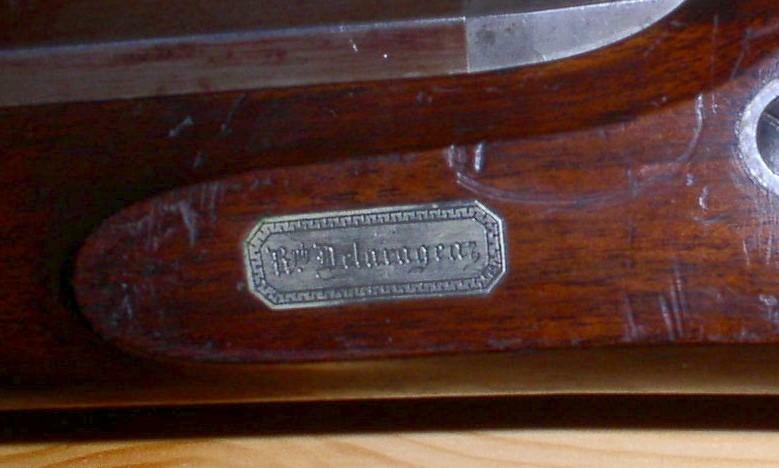 From what I know that this is a model 1851 Feldstutzer. It was made by a rifle make in Geneva for a private person, serial number 1018, which is visible on several parts of the rifle. The name of this person has been engraved on a silver plate on the left side of the rifle (R.ph. Delarageaz). The rifle is made much nicer than the standard Feldstutzer, which was used for military. The caliber of the rifle is 10,4 mm. I understand that this is the first 'small caliber' rifle in the Swiss army. The sights were not standard for the M1851, but specially for target shooting.